Harkness Tower is a masonry tower at Yale University in New Haven, Connecticut. Part of the Collegiate Gothic Memorial Quadrangle complex completed in 1922, it is named for Charles William Harkness, brother of Yale's largest benefactor, Edward Harkness. The tower was constructed between 1917 and 1921 as part of the Memorial Quadrangle donated to Yale by Anna M. Harkness in honor of her recently deceased son, Charles William Harkness, an 1883 Yale graduate. When the residential college system was inaugurated in 1933, the tower became part of Branford College. It was designed by James Gamble Rogers, a Yale College classmate of Anna Harkness's other son, Edward S. Harkness. James S. Hedden was the contractor's supervisor for the project and took many photographs of the construction's progress. 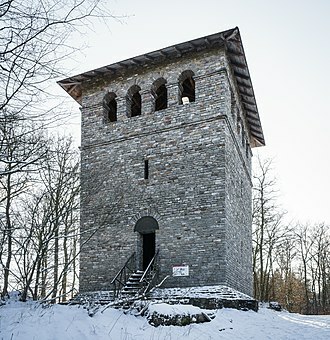 The tower underwent renovations from September 2009 to May 2010 to repair its masonry and ornament. Harkness Tower was the first couronne ("crown") tower in English Perpendicular Gothic style built in the modern era. James Gamble Rogers, who designed the tower and many of Yale's Collegiate Gothic structures, said it was inspired by the 15th-century Boston Stump, the 272-foot (83 m) tower of the parish church of St Botolph in Boston, Lincolnshire and tallest parish church tower in England. 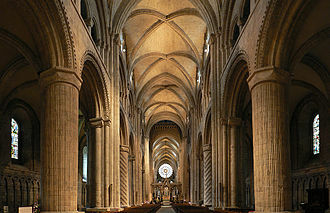 Rogers also based some details on the 16th-century tower of St Giles church in Wrexham, Wales, where Elihu Yale is buried. In turn, Harkness Tower has been identified as the direct influence for the tower of the Cathedral of Christ the King in Hamilton, Ontario. The tower's image was adopted by the Yale Herald, a weekly student newspaper, for its masthead. Harkness Tower is 216 feet (66 m) tall, one foot for each year since Yale's founding at the time it was built. 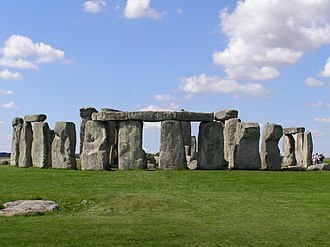 From a square base, it rises in stages to a double stone crown on an octagonal base, and at the top are stone finials. From the street level to the roof, there are 284 steps. Midway to the top, four openwork copper clockfaces tell the hours. The bells of the carillon are behind the clockfaces, fixed to a frame made of steel I-beams. The playing console of the carillon is at the level of the balconies immediately below the clock faces. Lower levels of the tower house a water tank (no longer used), two practice carillons, the old chimes playing console, office space for the Yale University Guild of Carillonneurs, and a memorial chapel. The tower was built of separate stone blocks, and reinforced with steel in 1966 to handle the new bells in the carillon. Yale tour guides frequently mention the legend that the tower was the world's tallest free-standing stone structure until it required reinforcement after an eccentric architect or philanthropist ordered acid to be poured down the walls to make it look older. 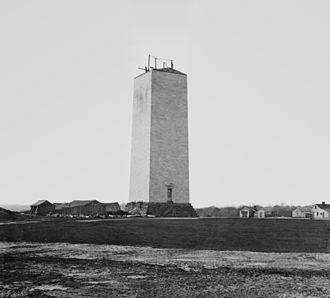 In reality, the Washington Monument was the country's tallest such structure long before Harkness Tower was built. The towers's decorative elements were sculpted by Lee Lawrie. The lowest level of sculpture depicts Yale's Eight Worthies: Elihu Yale, Jonathan Edwards, Nathan Hale, Noah Webster, James Fenimore Cooper, John C. Calhoun, Samuel F. B. Morse, and Eli Whitney. The second level of sculpture depicts Phidias, Homer, Aristotle, and Euclid. The next level of sculpture consists of allegorical figures depicting Medicine, Business, Law, the Church, Courage and Effort, War and Peace, Generosity and Order, Justice and Truth, Life and Progress, and Death and Freedom. 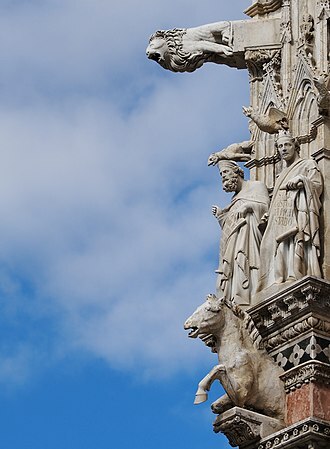 The gargoyles on the top level depict Yale's students at war and in study (a pen-wielding writer, a proficient athlete, a tea-drinking socialite, and a diligent scholar), along with masks of Homer, Virgil, Dante, and Shakespeare. The witticism, attributed to various modernist architects, that had they to choose any place in New Haven to live s/he would select the Harkness Tower, for then they "would not have to look at it," is apparently apocryphal, derivative of a similar story told of Guy de Maupassant and the Eiffel Tower. The console from which the Yale Memorial Carillon is played. The tower contains the Yale Memorial Carillon, a 54-bell carillon. It is a transposing instrument; the C bell sounds a concert B. Ten bells were installed in 1922 and 44 added in 1966. The instrument is played by members of a student-run group set up for the purpose, the Yale Guild of Carillonneurs, and selected guest carillonneurs. During the school year, the instrument is played twice per day: a half-hour session at 12:30 p.m. and a one-hour session at 5:30 p.m. (Some residents of Branford College and Saybrook College, of which the tower forms a part of the periphery, have been known to refer to the daily performances as "Heavy Metal.") In summer it is played only in the evening, plus a summer series of Friday concerts. Carillon play was suspended in 2009 and 2010 during the tower's renovation. ^ a b c Yamasaki, Tritia. "The Character of Harkness Tower". Archived from the original on 9 November 2000. Retrieved 3 April 2014. ^ Hedden, James S. "Guide to the Photographs of Memorial Quadrangle, Yale University" (PDF). Archived from the original (PDF) on 27 June 2008. Retrieved 3 April 2014. ^ Arnsdorf, Isaac (20 August 2009). "Renovations Underway at Harkness Tower". Yale Daily News. Retrieved 3 April 2014. ^ Williams, Stanley T. (26 October 1921). 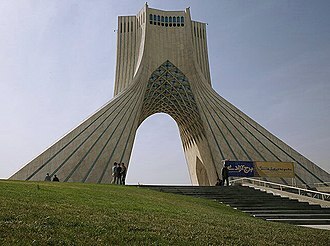 "The Harkness Memorial Tower". American Architect. 120 (9): 315–316. ^ Wubbenhorst, Paula (2004). "America's Influence on the Cathedral of Christ the King in Hamilton" (PDF). Journal of the Society for the Study of Architecture in Canada. 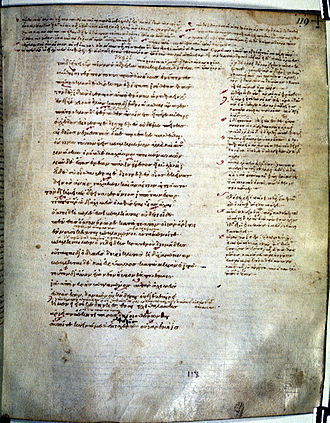 29 (3, 4): 41–50. Archived from the original (PDF) on 7 April 2014. Retrieved 3 April 2014. 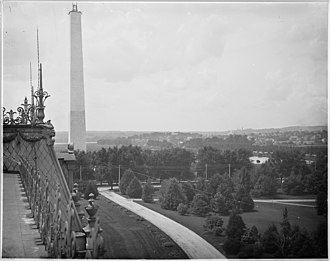 Wikimedia Commons has media related to Harkness Tower. Branford College is one of the 12 residential colleges at Yale University. Branford College was founded in 1933 by partitioning the Memorial Quadrangle into two parts and Branford, according to Robert Frost, it is the oldest and most beautiful of the Yale residential colleges, though it shares a building and was founded simultaneously with Saybrook. In the start of the year in 1933, Branford College opened its doors. Clarence Whittlesey Mendell, Dean of Yale College, had been named Master in 1931, what impressed quite a few visitors to Branford was the calm and subdued character of the College. 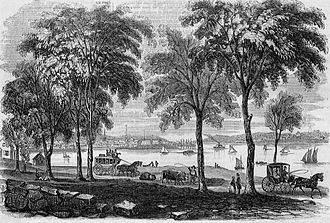 Chauncey Tinker commented that Saybrook was like an anthill, but Branford was like an oyster bed, Branford College was named for the nearby town of Branford, where Yale was briefly located. The base of Harkness Tower, one of the universitys most prominent structures and one of the tallest free-standing stone structures in the world, the tower contains a 54-bell carillon. Frank Lloyd Wright is said to have been asked where he would choose to be if he could be anywhere in the U. S.
since Branfords courtyards have many squirrels, the college adopted the squirrel as its mascot. The college has a rivalry with neighboring Jonathan Edwards College as well as a less formal one with Saybrook. Branford is the college of Quincy House at Harvard, Pembroke College at Oxford. It is tradition for Branfordians to host members of Quincy House when Yale hosts Harvard during The Game, there are two common rooms in addition to the primary common room. Located between Linonia and Branford Courts is the Fellows Lounge, where the Fellows of the College meet and this room is called the Trumbull Room, in memory of the first art gallery at Yale, which was built to house the paintings of John Trumbull. The Branford Dining Hall is located above the common room parallel to York Street, the large, vaulted main dining hall contains a 15th-century Burgundian fireplace. A smaller, cozier room called traditionally called The Pit known as the Small Dining Hall is frequently reserved by student groups for dinner meetings, the other Common Room is the Mendell Room, named for Branfords first master, Clarence Whittlesey Mendell. Samuel Finley Breese Morse was an American painter and inventor. After having established his reputation as a painter, in his middle age Morse contributed to the invention of a single-wire telegraph system based on European telegraphs. He was a co-developer of the Morse code and helped to develop the use of telegraphy. Samuel F. B. Morse was born in Charlestown, the first child of the pastor Jedidiah Morse, who was a geographer and his father was a great preacher of the Calvinist faith and supporter of the American Federalist party. He thought it helped preserve Puritan traditions, and believed in the Federalist support of an alliance with Britain, Morse strongly believed in education within a Federalist framework, alongside the instillation of Calvinist virtues and prayers for his first son. After attending Phillips Academy in Andover, Samuel Morse went on to Yale College to receive instruction in the subjects of philosophy, mathematics. While at Yale, he attended lectures on electricity from Benjamin Silliman, in 1810, he graduated from Yale with Phi Beta Kappa honors. Morse expressed some of his Calvinist beliefs in his painting, Landing of the Pilgrims and his image captured the psychology of the Federalists, Calvinists from England brought to North America ideas of religion and government, thus linking the two countries. This work attracted the attention of the notable artist, Washington Allston, Allston wanted Morse to accompany him to England to meet the artist Benjamin West. Allston arranged — with Morses father — a three-year stay for painting study in England, the two men set sail aboard the Lybia on July 15,1811. 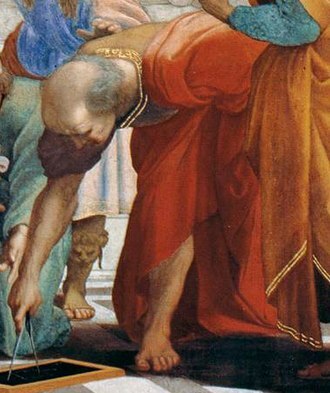 In England, Morse perfected his painting techniques under Allstons watchful eye, by the end of 1811, at the Academy, he was moved by the art of the Renaissance and paid close attention to the works of Michelangelo and Raphael. After observing and practicing life drawing and absorbing its anatomical demands, the young artist produced his masterpiece, to some, the Dying Hercules seemed to represent a political statement against the British and the American Federalists. 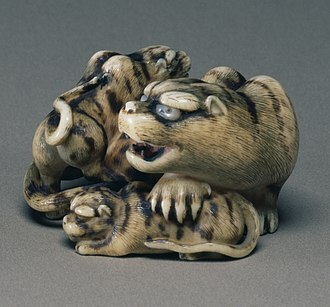 The muscles symbolized the strength of the young and vibrant United States versus the British, during Morses time in Britain, the Americans and British were engaged in the War of 1812. Both societies were conflicted over loyalties, anti-Federalist Americans aligned themselves with the French, abhorred the British, and believed a strong central government to be inherently dangerous to democracy. As the war raged on, Morses letters to his parents became more anti-Federalist in tone, in one such letter, Morse wrote, I assert that the Federalists in the Northern States have done more injury to their country by their violent opposition measures than a French alliance could. Their proceedings are copied into the English papers, read before Parliament, and circulated through their country and they call them cowards, a base set, say they are traitors to their country and ought to be hanged like traitors. Although Jedidiah Morse did not change Samuels political views, he continued as an influence, critics believe that the elder Morses Calvinist ideas are integral to Morses Judgment of Jupiter, another significant work completed in England. Yales ancestry can be traced back to the family estate at Plas yn Iâl near the village of Llandegla, Wales. 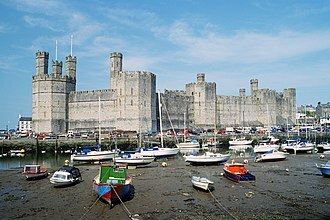 The name Yale is the English spelling of the Welsh place name Iâl, the Yale family left Boston and returned to England when Elihu was three years old and he grew up going to school in London. 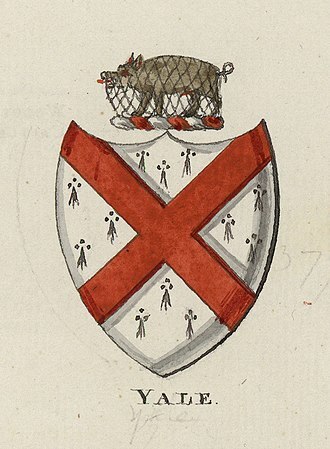 For 20 years Yale served the Honourable East India Company, in 1684 he became the first president of Fort St. George, the companys post at Madras, India. He succeeded a number of agents from Andrew Cogan to William Gyfford, Yale was instrumental in the development of the Government General Hospital, housed at Fort St. George. Yale amassed a fortune working for the company, largely through secret contracts with Madras merchants. 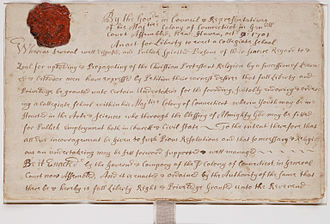 By 1692, his repeated flouting of East India Company regulations, Yale returned to Britain in 1699. He spent the rest of his life at Plas Grono, a mansion bought by his father near Wrexham, Wales, or at his house in London, Yale married Catherine Hynmers, a widow, in 1680. The wedding took place at St.
Marys Church, at Fort St. George, the marriage was the first registered at the church. Elihu Yale was re-appointed as president of the administration of Fort St George on 26 July 1687 and he implemented an order dated 14 January 1685 which required the English at Fort St George to make all attempts at procurement of the town of St Thome on lease. 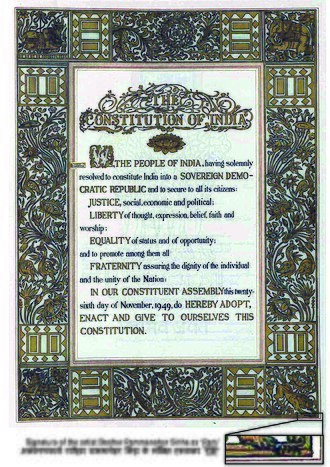 To this effect, Chinna Venkatadri was sent to negotiate with the governor on 4 August 1687. The mission was successful and Chinna Venkatadri assumed sovereignty over St Thome for a period of three years, notwithstanding the vehement protests of the Portuguese inhabitants of St Thome, the English gained absolute control over all lands up to St Thomas Mount for a period of three years. In September 1688, the Mughal Emperor Aurangazeb took Golconda after a prolonged battle, the Mughals took Sultan of Golconda prisoner and annexed the state. Aurangazeb guaranteed the independence of Madras, but in return demanded that the English supply troops in the event of a war against the Marathas and it was around this time that Yales three-year-old son David Yale died and was interred in the Madras cemetery. Edward Stephen Harkness was an American philanthropist. Harkness inherited his fortune from his father, Stephen V. Harkness, whose wealth was established by an investment in Standard Oil. Stephen Harkness died when Edward was fourteen, leaving his wife and oldest son, Harkness attended St. Pauls School and Yale College, Class of 1897 and Columbia Law School. Harkness, his brother Charles, and cousin William were members of Wolfs Head Society at Yale, after graduating, Edward Harkness married Mary Stillman, daughter of wealthy New York attorney Thomas E. Stillman, in 1904. 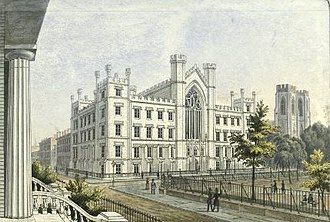 As the buildings architect, Harkness chose Yale College classmate James Gamble Rogers, the home, at 75th Street and 5th Avenue and now known as the Edward S. Harkness House, became the headquarters of Harkness Commonwealth Fund after Marys death. Harkness briefly served as a director for the Southern Pacific Railroad. He began making gifts to the Egyptian collection at the Metropolitan Museum of Art in New York in 1912, Harkness older brother Charles died in 1916 at age 55, leaving Edward more than US$80 million, much of it in Standard Oil stock. Charles had continued to invest substantially in Standard Oil as manager of the family fortune, Harkness made charitable gifts totaling more than $129 million, the equivalent of $2 billion in 2005 dollars. His philanthropic peers John D. Rockefeller and Andrew Carnegie gave respectively $550 million, the campus was built in the 1920s on the site of Hilltop Park, the one-time home stadium of the New York Yankees. The Harkness Pavilion, named for father Stephen, is a part of the campus. Harkness and his mother, gave substantial sums to several important non-profit enterprises, Harkness was a major benefactor of the New York Public Library and the Metropolitan Museum of Art. Harkness, in addition to donations to the Decorative Arts Department, Harkness bought the complete Tomb of Perneb for the Met and helped purchase the Carnarvon Collection of Egyptian artifacts. He donated the Mets unofficial mascot, a blue decorative hippo from the Egyptian Middle Kingdoms Twelfth Dynasty, in 1917, a year after Charles death, Anna Harkness donated $3 million to Yale University to build the Memorial Quadrangle student dormitory in Charles memory. Phidias or Pheidias was a Greek sculptor and architect. His statue of Zeus at Olympia was one of the Seven Wonders of the Ancient World, Phidias was the son of Charmides of Athens. 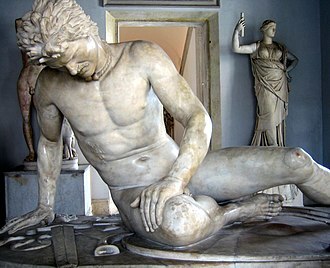 The ancients believed that his masters were Hegias and Ageladas, Phidias is often credited as the main instigator of the Classical Greek sculptural design. 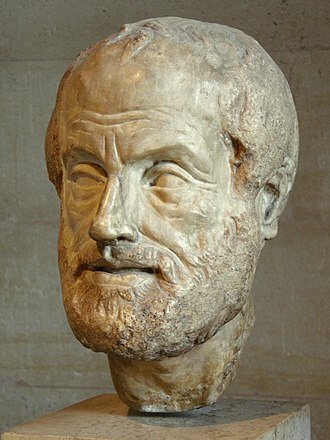 Today, most critics and historians consider him one of the greatest of all ancient Greek sculptors, although no original works exist that can be attributed to Phidias with certainty, numerous Roman copies of varying degrees of fidelity are known to exist. 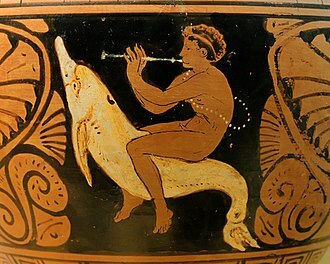 Almost all classical Greek paintings and sculptures have been destroyed, and only Roman copies or notes of them exist, the ancient Romans frequently copied and further developed Greek art. 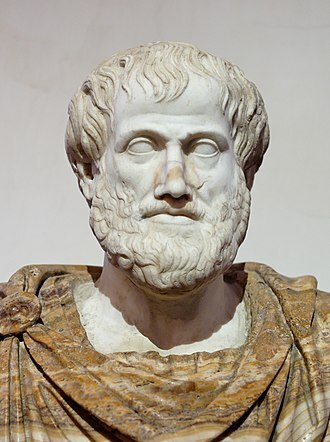 In antiquity Phidias was celebrated for his statues in bronze and his chryselephantine works, in the Hippias Major, Plato claims that Phidias seldom, if ever, executed works in marble, though many of the sculptures of his times were executed in marble. 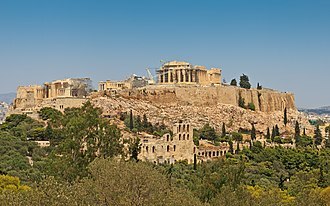 Plutarch tells us that he superintended the works ordered by Pericles on the Acropolis. Ancient critics take a high view of the merits of Phidias. What they especially praise is the ethos or permanent moral level of his works as compared with those of the so called pathetic school, demetrius calls his statues sublime, and at the same time precise. 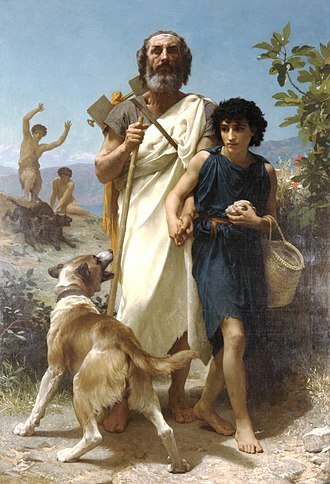 Of his life we know little apart from his works and his first commission created a group of national heroes with Miltiades as a central figure. 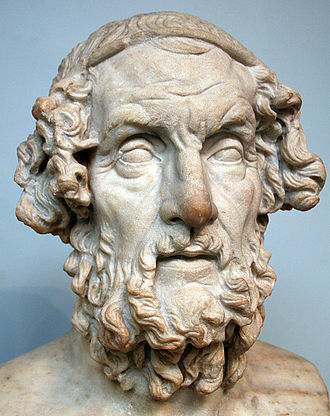 Pericles used some of the money from the maritime League of Delos, to rebuild, inscriptions prove that the marble blocks intended for the pedimental statues of the Parthenon were not brought to Athens until 434 BC, which was probably after the death of Phidias. It is therefore possible that most of sculptural decoration of the Parthenon was the work of Phidias workshop including pupils of Phidias, such as Alcamenes, the Golden Ratio has been represented by the Greek letter φ, after Phidias, who is said to have employed it. Eli Whitney was an American inventor best known for inventing the cotton gin. This was one of the key inventions of the Industrial Revolution, Whitneys invention made upland short cotton into a profitable crop, which strengthened the economic foundation of slavery in the United States. 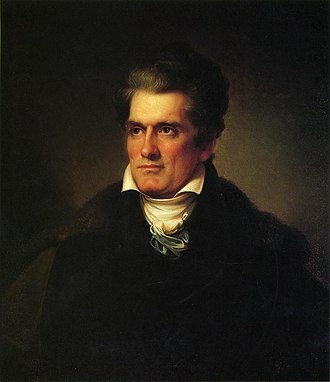 Despite the social and economic impact of his invention, Whitney lost many profits in legal battles over patent infringement for the cotton gin, thereafter, he turned his attention into securing contracts with the government in the manufacture of muskets for the newly formed United States Army. 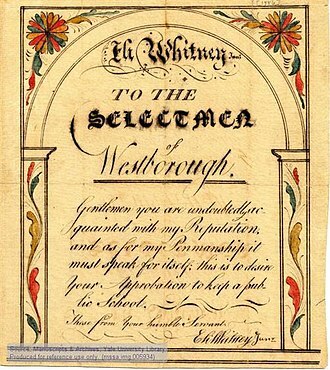 He continued making arms and inventing until his death in 1825, Whitney was born in Westborough, Massachusetts, on December 8,1765, the eldest child of Eli Whitney Sr. a prosperous farmer, and his wife Elizabeth Fay, of Westborough. Although the younger Eli, born in 1765, could technically be called a Junior and he was famous during his lifetime and afterward by the name Eli Whitney. 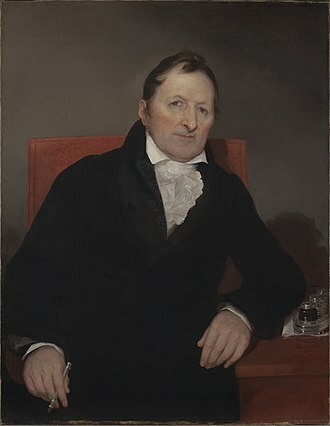 His son, born in 1820, named Eli, was known during his lifetime and afterward by the name Eli Whitney, Jr.
Whitneys mother, Elizabeth Fay, died in 1777. At age 14 he operated a profitable nail manufacturing operation in his fathers workshop during the Revolutionary War, because his stepmother opposed his wish to attend college, Whitney worked as a farm laborer and school teacher to save money. He prepared for Yale at Leicester Academy and under the tutelage of Rev. Elizur Goodrich of Durham, Connecticut, he entered the class of 1789 and graduated Phi Beta Kappa in 1792. Whitney expected to study law but, finding himself short of funds, instead of reaching his destination, he was convinced to visit Georgia. In the closing years of the 18th century, Georgia was a magnet for New Englanders seeking their fortunes, when he initially sailed for South Carolina, among his shipmates were the widow and family of the Revolutionary hero Gen. Nathanael Greene of Rhode Island. Mrs. Greene invited Whitney to visit her Georgia plantation, Mulberry Grove and her plantation manager and husband-to-be was Phineas Miller, another Connecticut migrant and Yale graduate, who would become Whitneys business partner. Jonathan Edwards was a revivalist preacher and Congregationalist Protestant theologian. Like most of the Puritans, he held to the Reformed theology and his colonial followers distinguished themselves from other Congregationalists as New Lights, as opposed to Old Lights. Edwards is widely regarded as one of Americas most important and original philosophical theologians, Edwards theological work is broad in scope, but he was rooted in Reformed theology, the metaphysics of theological determinism, and the Puritan heritage. 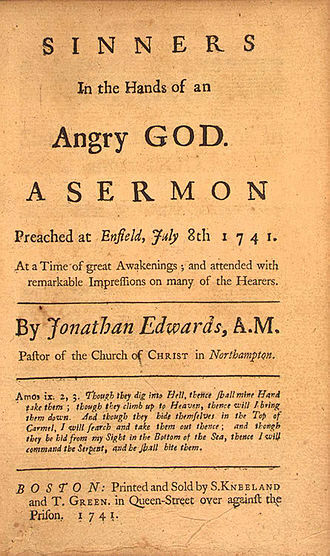 Recent studies have emphasized how thoroughly Edwards grounded his lifes work on conceptions of beauty and ethical fittingness, Edwards played a critical role in shaping the First Great Awakening, and oversaw some of the first revivals in 1733–35 at his church in Northampton, Massachusetts. Edwards delivered the sermon Sinners in the Hands of an Angry God, Edwards died from a smallpox inoculation shortly after beginning the presidency at the College of New Jersey. He was the grandfather of Aaron Burr, third Vice President of the United States, Jonathan Edwards was born on October 5,1703 and was the son of Timothy Edwards, a minister at East Windsor, who eked out his salary by tutoring boys for college. His mother, Esther Stoddard, daughter of the Rev. Solomon Stoddard, of Northampton, seems to have been a woman of unusual mental gifts, their only son, was the fifth of 11 children. He entered Yale College in 1716, at just under the age of 13, in the following year, he became acquainted with John Lockes Essay Concerning Human Understanding, which influenced him profoundly. 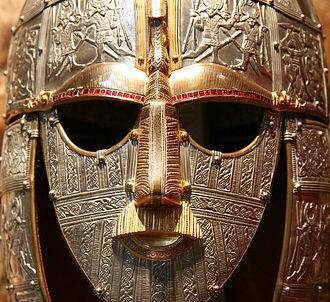 He was interested in history, and as a precocious 11-year-old, observed. Edwards would edit this text to match the genre of scientific literature. 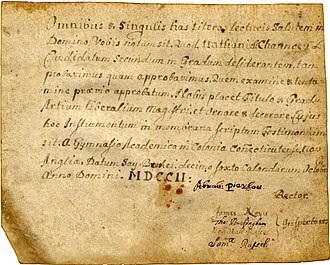 Even though he would go on to study theology for two years after his graduation, Edwards continued to be interested in science, Edwards was fascinated by the discoveries of Isaac Newton and other scientists of his age. Before he undertook full-time ministry work in Northampton, he wrote on topics in natural philosophy, including flying spiders, light. While he was worried about the materialism and faith in reason alone of some of his contemporaries, he saw the laws of nature as derived from God and demonstrating his wisdom and care. Statue of Atlas in Rockefeller Center on Fifth Avenue in New York City, opposite St. Patrick's Cathedral. 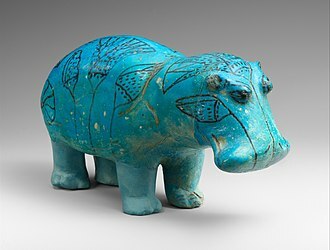 "William," the faience hippopotamus, early second millennium B.C. Branford College courtyard with Harkness Tower in the background. British regulars and Canadian militia defeated invading American forces in eastern Hamilton during the Battle of Stoney Creek. International Harvester Company buildings by the waterfront, taken in 1907. The rise of industry in the city led to economic and population growth until the 1960s. View of the Niagara Escarpment from the bottom on Hunter Street. The escarpment runs through the city, bisecting it into "upper" and "lower" parts. Webster's Falls at Spencer Gorge/Webster's Falls Conservation Area. There are more than 100 waterfalls in the city. A 1932 statue of Webster by Korczak Ziółkowski stands in front of the public library of West Hartford, Connecticut. 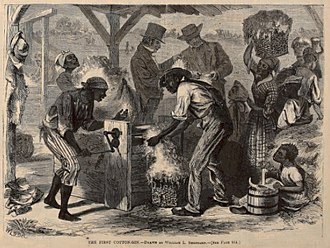 "First cotton gin" from Harpers Weekly. 1869 illustration depicting event of some 70 years earlier. Rogers' front facade of the Yale Club of New York City. "The Glory of the Marches". The grave of Elihu Yale.